The Cycfi XR pickup is designed with customization in mind. Coil taps points are provided for a variety of custom wiring options. 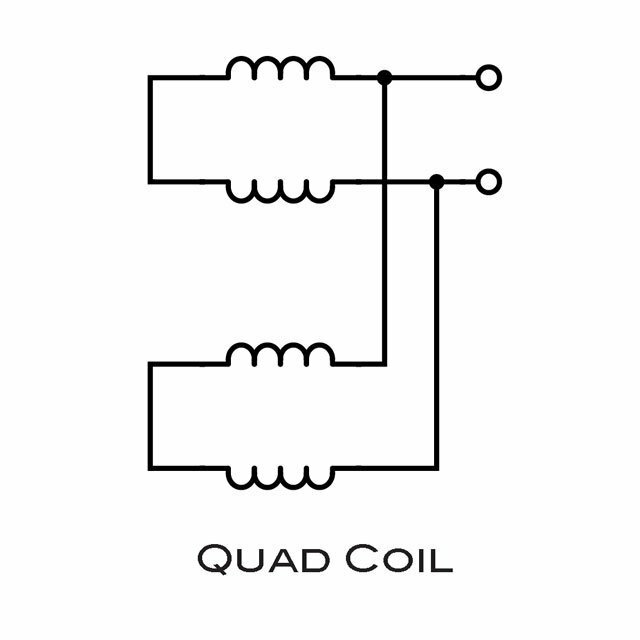 For example, the taps are used in the Quad Coil configuration to go from a wide-aperture PAF humbucker sound to the focused narrow-aperture sound of a Dual Coil. The coil taps can be used as you would with any passive pickup. This is only the beginning though, this page provides insight into some more interesting custom configurations. 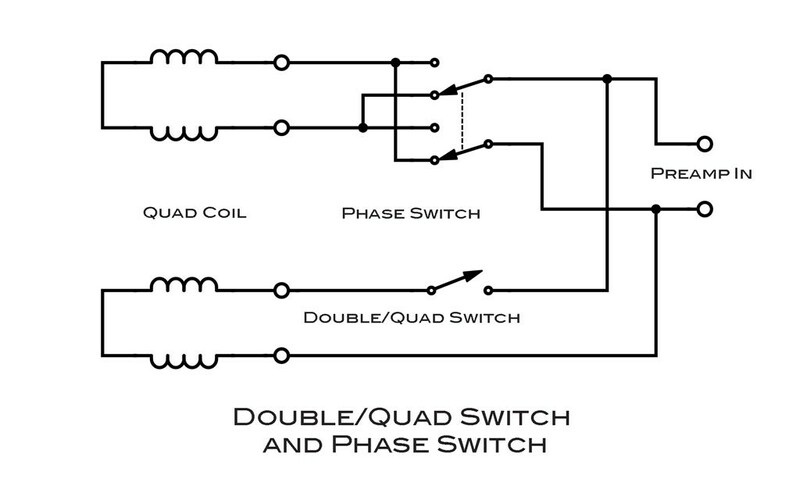 Let me warn you that this page assumes you know a little bit about electrical wiring and are comfortable reading basic schematic diagrams. 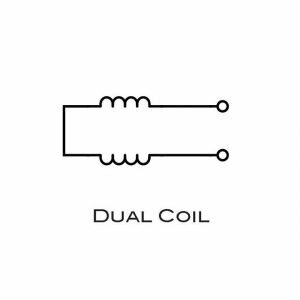 I prefer schematic diagrams over ‘visual’ wiring diagrams. 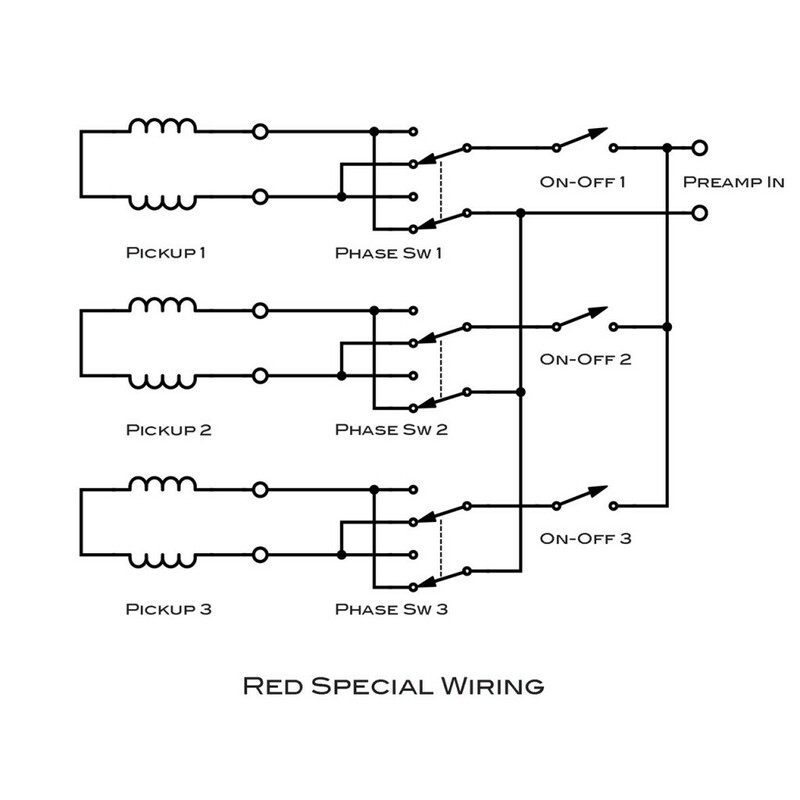 Schematics convey information better than any of the simplified wiring diagrams you can find on the web. If you intend to do some customization, it’s a “must” to get acquainted with schematics diagrams. 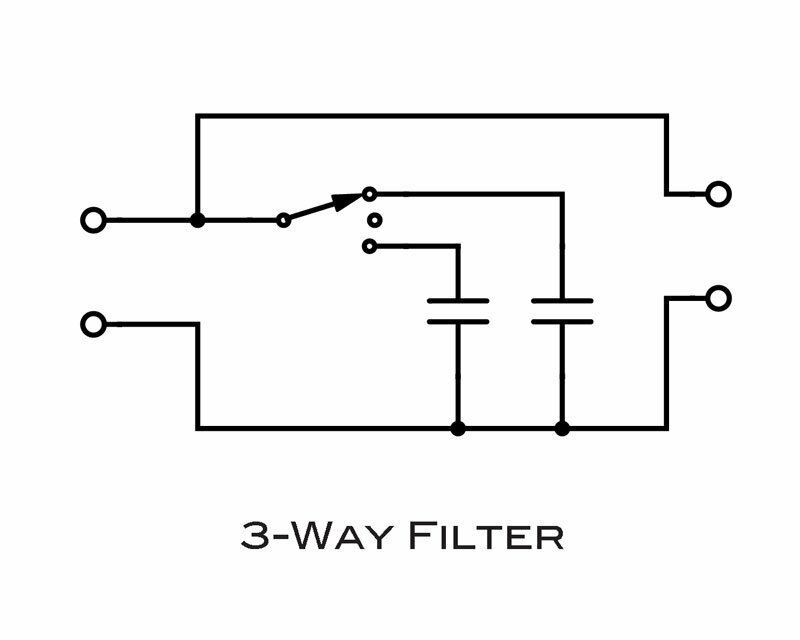 Follow this link for a quick tutorial: Electronic Schematics – Need-To-Know. I love modular designs. The customization possibilities offered here are modular. This section presents some basic building blocks that you can use as-is or combined together to form more complex schemes. Think of each building block like an effects box with input at the left and output at the right. You can connect inputs to outputs, and unless otherwise noted, you can also tie outputs together. All building blocks presented here are passive and utilize only simple switches, potentiometers, and capacitors. 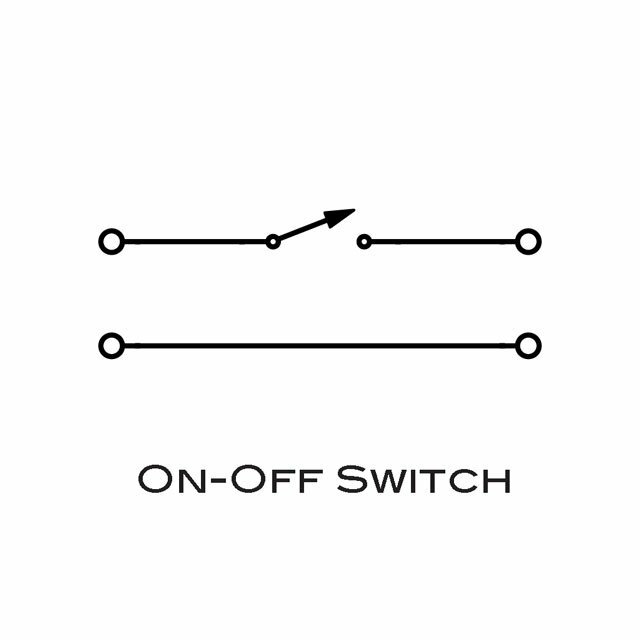 Instead of an On-Off switch, you can use a potentiometer. There are two variants. 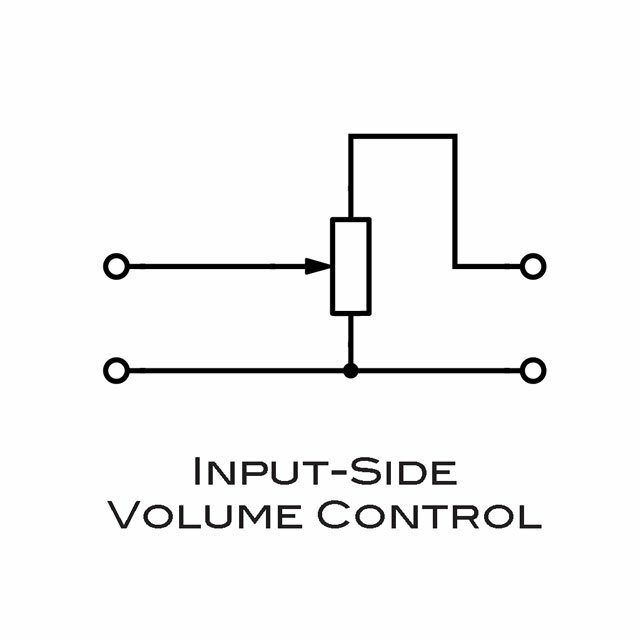 One is an Input-Side Volume Control which allows you to tie outputs together. 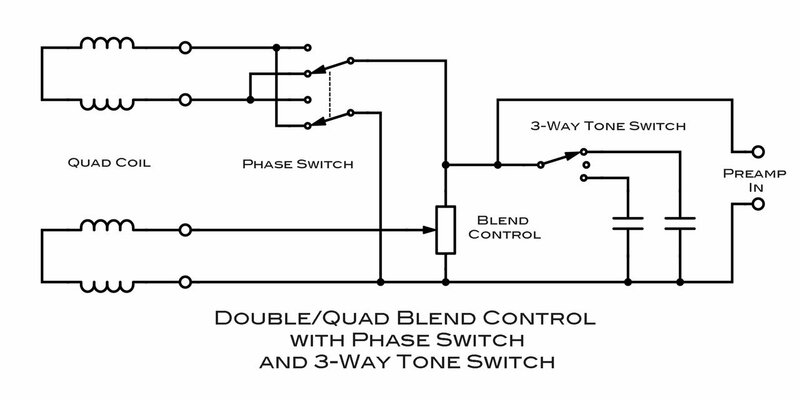 This configuration will function as a blend control. For this application use a 25KΩ potentiometer. For the Input-Side Volume Control, just make sure all connecting cables/wires are properly shielded. 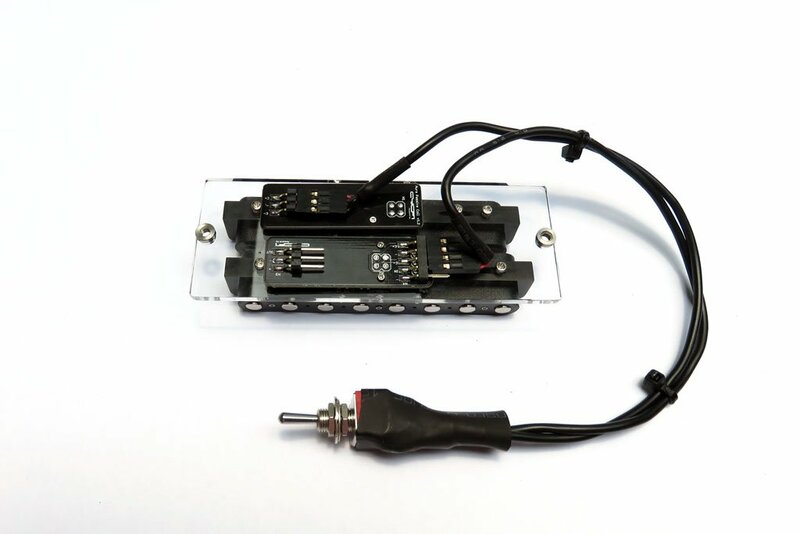 In fact, it is best to avoid unshielded cables when connecting any of these modules. 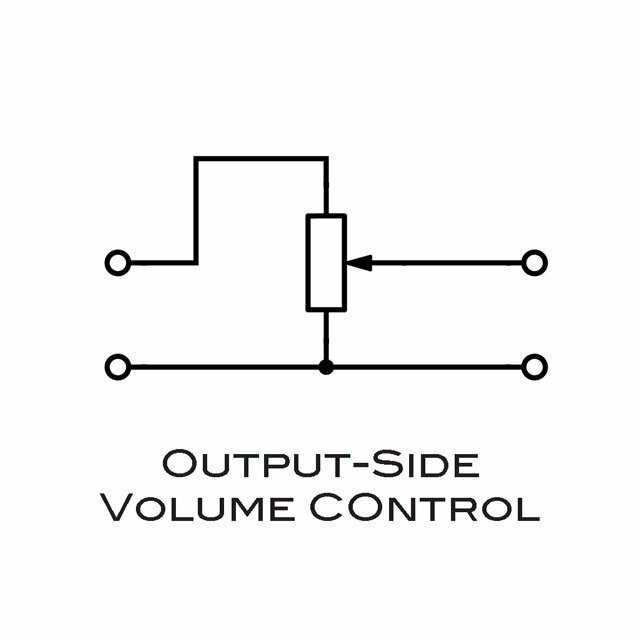 The other variant is an Output-Side Volume Control, which does not allow outputs to be tied together. Use this only at the very end, before the preamp, like a master volume. Again, a 25KΩ potentiometer should be used. One advantage of this variant is that the preamp input is totally shunted to ground with the potentiometer wiper at zero, hence zero noise at low volume. 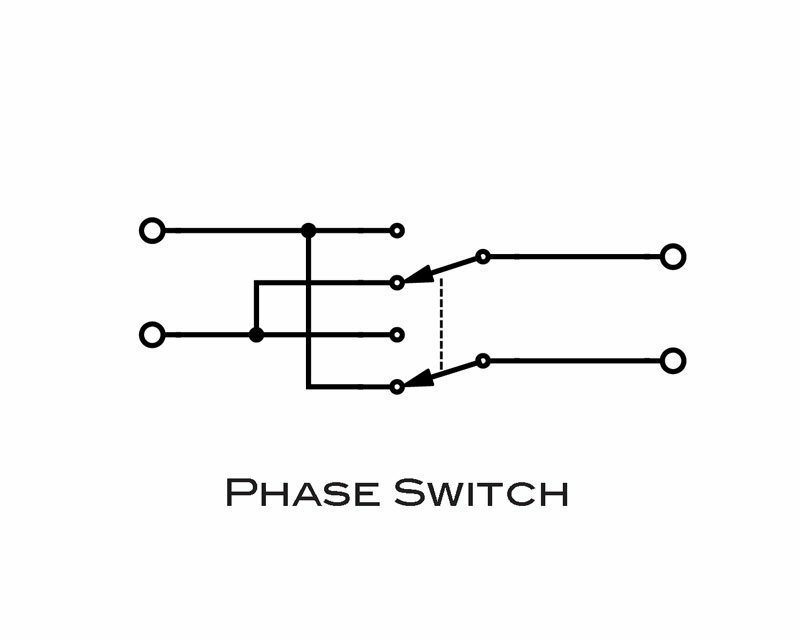 The phase switch, below, reverses the phase of the signal. 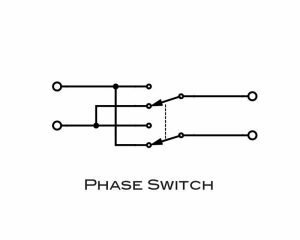 By itself, the phase switch does not contribute anything to the sound, but in combination with another pickup, the out-of-phase signals cancel each other quite a bit, producing a thin squawky sound. 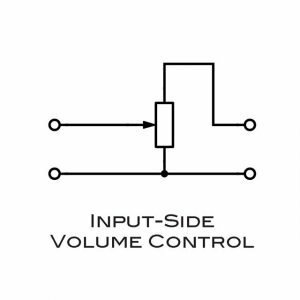 The phase switch is more usable in combination with an Input-Side Volume Control (above) to control the amount of out-of-phase-ness. 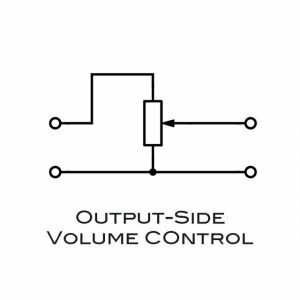 You can control the cutoff frequency of the pickup by placing a capacitor in parallel with the coil. 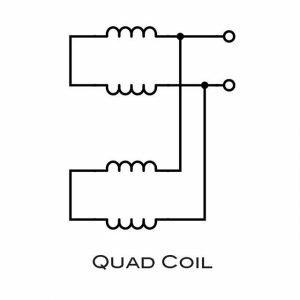 For example, given the XR-6’s 13.4mH coil inductance and 379Ω D.C. resistance (see Cycfi XR Series Datasheet), a 0.47uF capacitor will shift the cutoff frequency to around 2kHz. A 0.1uF capacitor, on the other hand, gives you a cutoff frequency of around 4.3kHz. Tip: use this online RLC calculator: http://sim.okawa-denshi.jp/en/RLClowkeisan.htm to get the desired cutoff frequency. The sweet frequencies from 2kHz to 5kHz give you the tones of classic electric guitars. The human ear is most sensitive in this frequency range. As a rough guide at 2kHz, the tone is characterized as warm and mellow; at 3kHz, brilliant or present; at 4kHz, piercing; and at 5kHz, more brittle and thin. 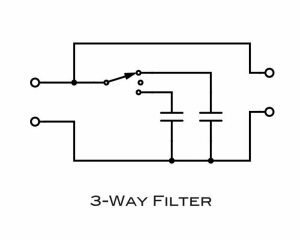 (source: The Secrets of Electric Guitar Pickups). 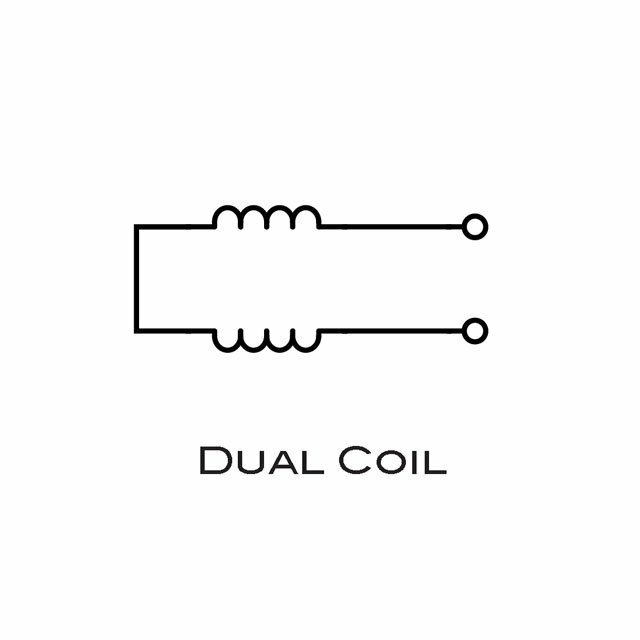 Here, the outputs of two double coils are optionally combined using an on-off switch. Tip: Use an input-side volume control instead to blend in the double-width sound. Take note that we are using only one preamp for all three pickups. In this case, we need only one XR Dual Active pickup (which has an on-board preamp) and two XR Dual Passive pickups. The tech-savvy reader might notice that this is not really how the Red Special is wired —the pickups of that guitar are actually wired in series, not parallel as above. In the case of the XR it does not matter. The resonant frequency of the Lo-Z XR pickups is in the ultrasonic range whether wired in series or parallel. 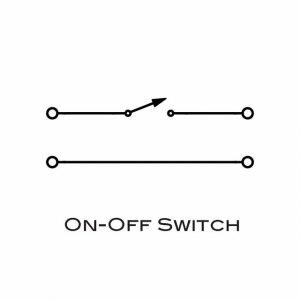 This is the reason why we don’t present any series/parallel switching schemes here. But let’s not stop there. How about using a potentiometer to blend-in the pickups, and add a 3-way tone switch? So, there you go. 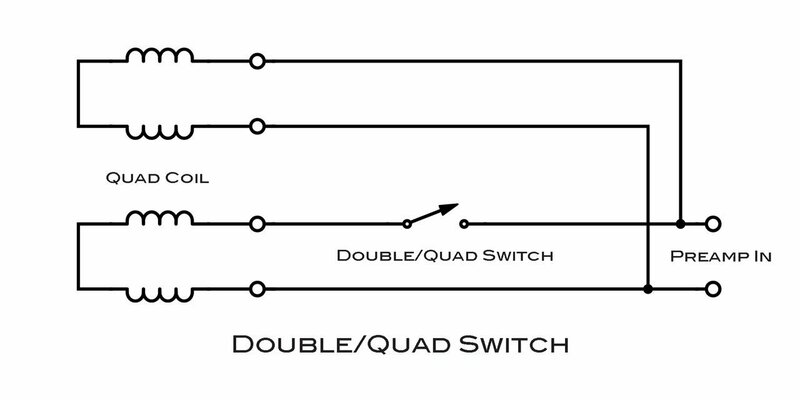 These are some of the possible wiring combinations you can use to hot-rod your XR pickup system. If you have other ideas, I’d love to hear them and add them here. Contributions are welcome! I’m pretty sure this page will evolve over time with more ideas. Have fun hot-rodding your XR equipped guitar!